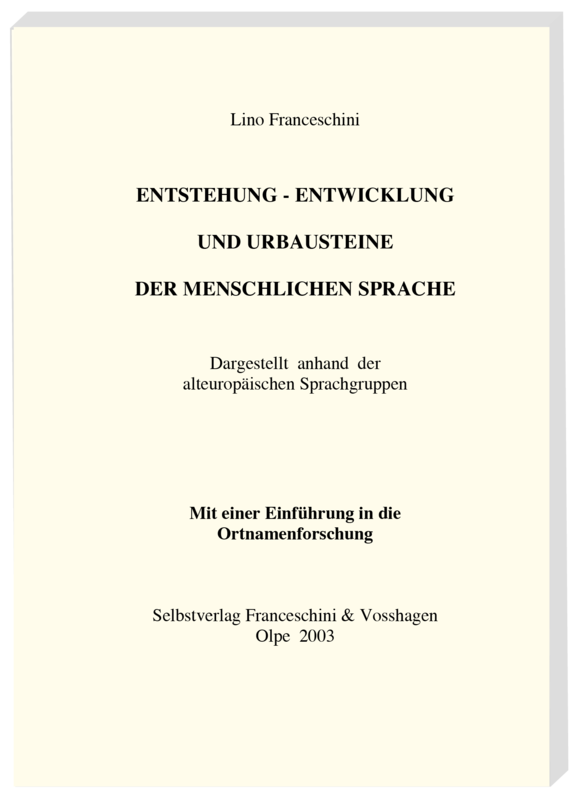 In a longstanding research, Lino Franceschini penetrated into a secret which has always fascinated philosophy and sciences: the origin, development and original elements of human language. Based on the different linguistic groups of ancient Europe and using the example of the research of place names, Franceschini traces the Indo-Germanic language development to simple processes, i.e. a constant interaction between chance and necessity. According to the author all the present languages evolved from these processes. 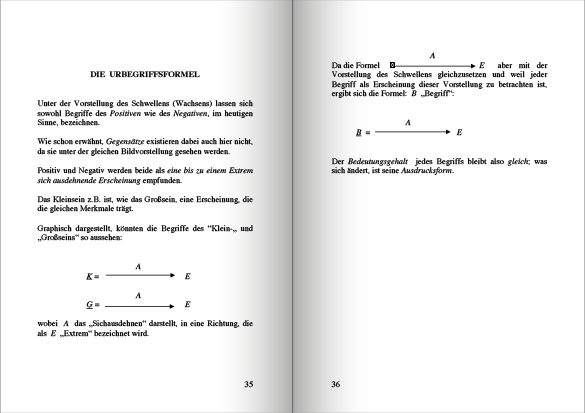 In Goethe´s sense >Urphänomen< is an image of the growing nature which inspired humans to formulate the first words and which differentiates itself into more and more conceptions. In its beginning, the same terms were even used for opposites. Thus a complex system of diverse meanings has developed. Not the reconstruction of a common proto-language and its grammar, but the necessity of communication about elementary processes was the basis for the formation of language rules. In this long process different dialects were standardized into a fixable written cultural language. Place names represent the dynamics and simultaneous stability of language development – even more than the names of gods or people. In this development the far-reaching and world-seizing nature of language is manifested. Its tradition and its unconscious adaption into the vocabulary of the changing inhabitants express the wish for orientation in and identification with the new, foreign environment. The author´s thesis is an interesting approach which deserves to be taken into account in present linguistics. His theory of an original term and the meticulously collected material not only provoke new discussions but also open new prospects for research. The content, clearly formulated and structured, is also understandable for laymen. The readers are led through an amount of quasi-forgotten terms to trace back the origins of our language. 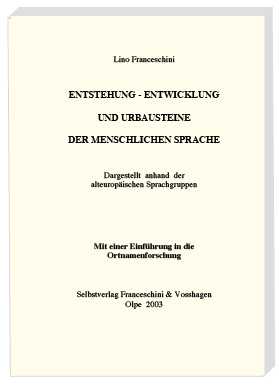 We would like to refer to Kerstin Feuge’s book: Über den Ursprung der Sprachen – Die evolutionäre Relevanz der Wölbung, Oldenburg, Lamberti Verlag 2003. In this work, the author examined the two largest language families of the world, the Niger-Congo and the Austronesian languages, and found that both languages originate in the same basic principle of the bulge. This theory corresponds with the theses of the book introduced above and thus confirms these. This is a strong indication of the idea that the basic principle of swelling is applicable to all languages of the world.